Portrait Photography of children, maternity, family and newborns as well as event photography. Located in Miami, Florida. Specializing in architectural, and interior design photography. Based in Miami. Fashion and swimwear photography by Miami based photographer, with an emphasis on color and composition. Specialties include editorial, portraiture, fashion, sports, and documentary photography. Based in South Florida (Miami Beach). Upscale Photo is located in Miami. Specialize in wedding photography, events, paries, portraits, children, model portfolios. Gift Certificates available. Wedding vendors directory. How do you want to remeber your wedding? Dinamic, beautiful, artistic. Morgantyler specializes in wedding and portrait photography. The photographer is a University degree graduate in fine art. We are located in Miami, Fl. Commercial, advertising, and fashion photography for brochures and catalogs. Miami. Real estate appraiser located in Miami, Florida providing appraisals for all of Miami-Dade and Broward counties. Commercial photographer specializing in editorial and retail work. Miami and Boston. We provide professional photography and photographic services. Miami area. Digital art, web page design, logos, photography, and animation. Miami. Director of photography and steadicam operator. Based in Miami, FL and has worked worldwide. SOC, SOA. factory authorized sales, service, and repair center for mercruiser and volvo penta engines in north miami, florida. miami based refrigerated trucking company specializing in seafood, poultry and produce. miami, fl to northeast and central states 2 day service. Exhibits work documenting World Expos, and Florida architecture. Located in Miami. Editorial photography assignments that convey a trend towards famous people and Miami Beach. Specializing in photographs of products, jewelry, food, and people. The studios are located in Miami. official site hosted by miami-dade county. directions, searchable flight information, terminal maps showing gates, restrooms, hotels and parking. Female commercial and fine art photographer. I have been based in Miami since 1984. Shooting people has always been a perfect medium of creativity. Corporate identity, desktop publishing, packaging, photography and website design. English-Spanish translations. Located in Miami. Director and director of photography. Miami, Los Angeles, and New York. Offers print, exhibit, photography and outdoor design. In English and Spanish. Based in Miami, Florida. Miami company provides design services for websites, advertising, print collateral and product photography. Offers online samples and contact form. Images of people, places, and things in traditional photographic techniques and digital composing. Also, showing celebrity portraits and photo essays. Based in Miami, FL. Complete graphic design and photography. Color brochures, advertising production, web site design and printing services. Miami. Provides graphic design, interactive media and photography. Includes principals profiles and client list. Office locations in Miami, Florida and New York City. Capabiltities include bilingual translations, public and media relations, promotions and product placements. Features company profile, services, news and contact information. Based in Miami. serves the miami, fort lauderdale, and west palm beach airports as well as the miami and fort lauderdale seaports. includes company profile, charges and quote request form. If the business hours of Deborah Gray Mitchell Photography in may vary on holidays like Valentine’s Day, Washington’s Birthday, St. Patrick’s Day, Easter, Easter eve and Mother’s day. We display standard opening hours and price ranges in our profile site. We recommend to check out dgmfoto.com/ for further information. 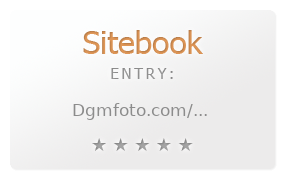 You can also search for Alternatives for dgmfoto.com/ on our Review Site Sitebook.org All trademarks are the property of their respective owners. If we should delete this entry, please send us a short E-Mail.